Here’s the latest beer design work for The Mobberley Brewhouse. This one is a collaboration with hop merchant Charles Faram. New varieties of hops are constantly being developed by the grower, increasing the options for ever more creative brewing. GROWER OWNED, HOP MERCHANTS FOR MORE THAN 150 YEARS, CHARLES FARAM SOURCE HOPS FROM AROUND THE WORLD, OFFERING BREWERS BOUNDLESS CHOICE AND FLEXIBILITY WITH EVERY BEER THEY MAKE. THEIR OWN HOP BREEDING PROGRAMME CONTINUES TO INCREASE OUR OPTIONS; WITH NEW VARIETIES OF PROGRESSIVE, ENGLISH HOPS BEING REGULARLY RELEASED. WE USUALLY FOCUS HEAVILY ON AMERICAN VARIETIES, SO THE CHARLES FARAM TEAM AND OURSELVES THOUGHT IT A GREAT IDEA TO PUT SOME OF ENGLANDS FINEST TO THE TEST – AN ATTEMPT TO PRODUCE ONE OF OUR TYPICAL JUICY IPA’S, WITH ENGLISH ONLY HOPS. Just had photography done recently for our lovely friends at The Mobberley Brewhouse. Such a lovely part of our beer design work we thought we’d share. It’s a small batch exclusive – a very drinkable New England Session IPA at 4.4% abv, with juicy hop flavours from Citra and Mosaic hops. The Mobberley Brewhouse specialises in dangerously good beer, from delicately brewed session beers, to outrageous modern craft beers. They all leave the brewery crammed full of unique flavour. Obsessed with improvement, it is their constant aim to produce the best and most consistent beer possible. Having sampled pretty much all of their extensive range (in the line of duty of course), we can only agree. Probably the first gin cocktail invented was a simple mix of gin and Angostura Bitters. Credited to the captain and surgeon of the HMS Hercules in the early 1800s, while patrolling the Caribbean (no wonder they kept getting lost). Then followed the still-popular Pimms in the middle of the 19th century. This time period also saw Gin first mixed with lime, as a way to help combat the threat of scurvy in sailors. We recently did a shoot for our delightful client (of course ALL clients are delightful – no? ), Hunter’s Cheshire gin. Six delicious cocktails showing off the qualities of the gin. Among other botanicals, Hunter’s contains Cheshire apples from historic Norton Priory garden’s own orchard. It’s this clever twist that gives Hunter’s premium export strength gin a spicy fruity edge. The unique flavour comes from the botanicals – including punchy, piney juniper from the Balkans, French angelica, Cinnamon bark from Madagascar, musky, nutty angelica root from France, ribbons of Spanish lemon peel and Florentine orris root. 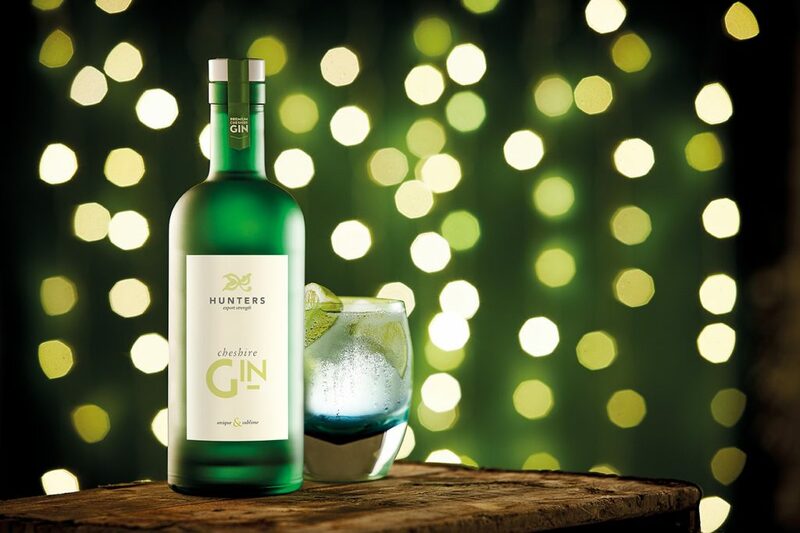 Hunters is a premium gin placed among the top division of world-renowned gins. 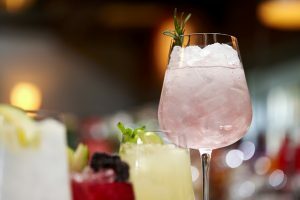 Created by Hunter’s talented mixologist Louis, the Hunter’s cocktails were designed to deliver the special taste of their gin. It’s a single batch distillation from a 300 year old recipe. We shot six – Truly Hunters, Mr Hunter and Mr FitzPatrick, Hunters Cheshire Champagne, Tom Collins, Hunters Apple Bramble and a Hunters Gin Martini. 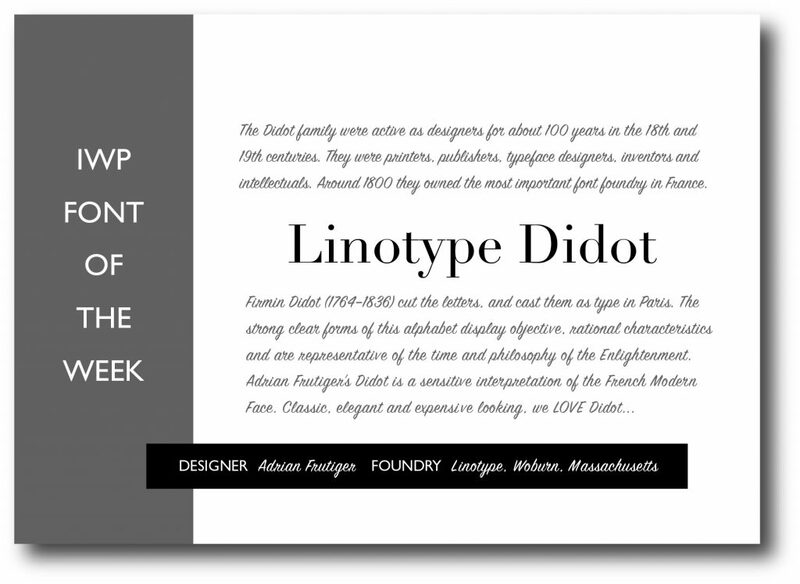 Didot is a group of typefaces named after the famous French printing and type producing Didot family. The classification is known as modern, or Didone. Didot’s type in the Code civil des Français, printed by the company of Firmin Didot in 1804. The most famous Didot typefaces were developed in the period 1784–1811. Firmin Didot (1764–1836) cut the letters, and cast them as type in Paris. His brother, Pierre Didot (1760–1853) used the types in printing. His edition of La Henriade by Voltaire in 1818 is considered his masterwork. The typeface takes inspiration from John Baskerville’s experimentation with increasing stroke contrast and a more condensed armature. The Didot family’s development of a high contrast typeface with an increased stress is contemporary to similar faces developed by Giambattista Bodoni in Italy. Didot is described as neoclassical, and evocative of the Age of Enlightenment. The Didot family were among the first to set up a printing press in the newly independent Greece, and typefaces in the style of Didot have remained popular in Greek since. The Style Network used a bold weight of Didot in its on-air identity (in addition to the News Gothic font). Alexey Brodovitch implemented the usage of Didot in Cahiers d’Art and Harper’s Bazaar. Vogue has been using Didot as the typeface for their cover title since 1955. 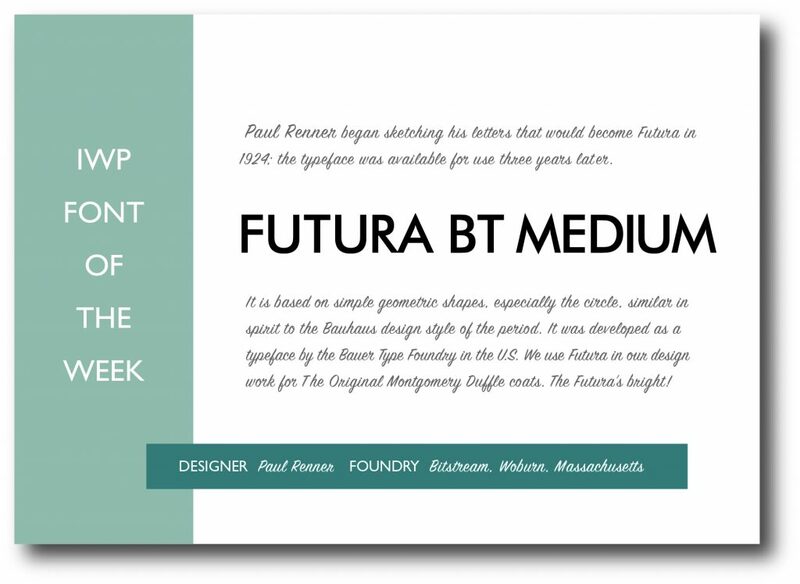 A survey of 368 people done by writer and typographer Sarah Hyndman suggested that bold typefaces with rounder terminals appear cheaper, whereas lighter weights, serifs, and contrasts were rated as more expensive, with the modern Didot selected as the most expensive looking font. 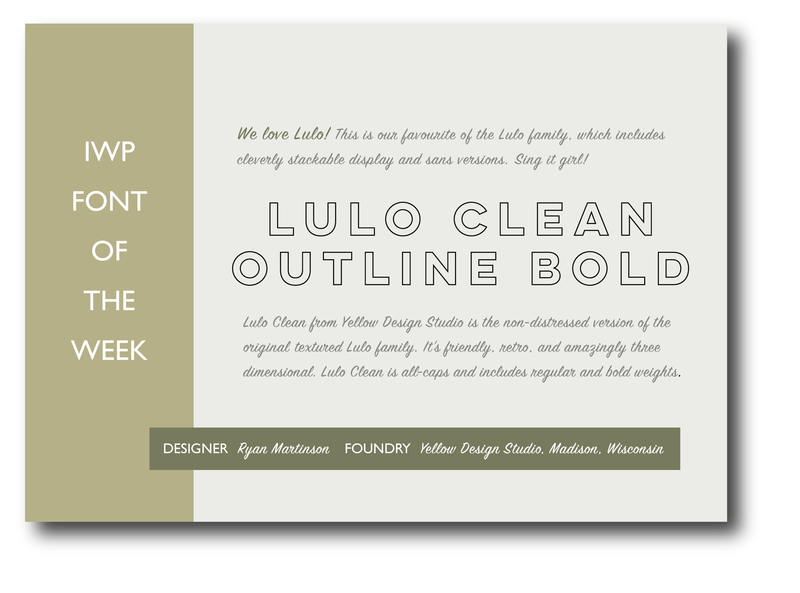 We LOVE how a font can work to deliver creative. So we thought we’d share the love… The right font can help deliver quality and character before a word has been read. Why not see what we can do for you? 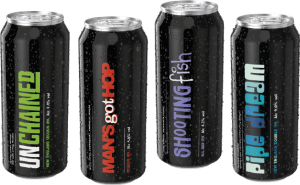 Beer + Label Design – What’s not to love? 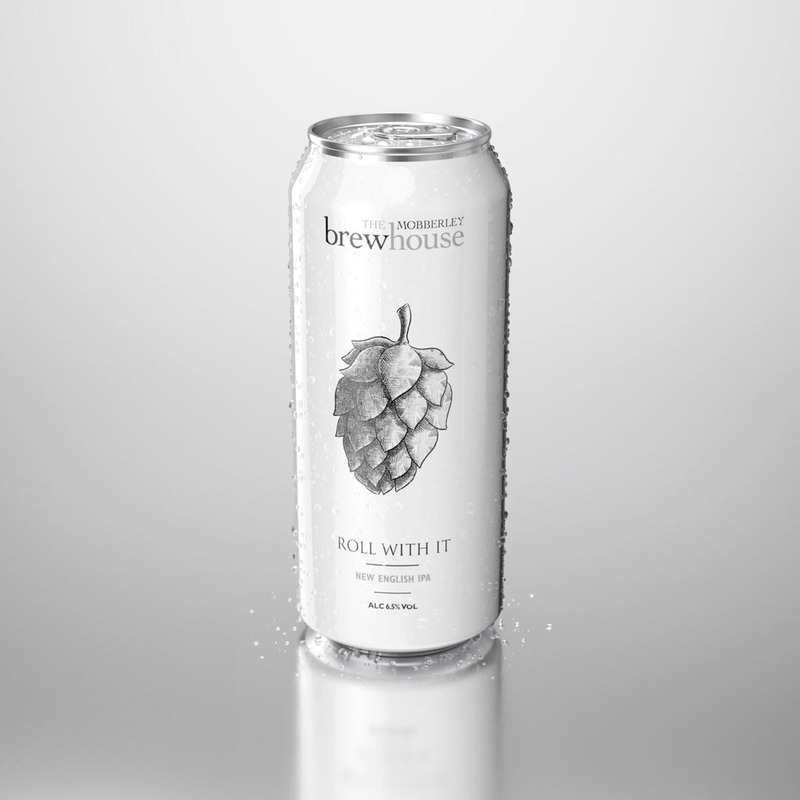 We love to design for our beer clients – they allow us free reign to do what we do best. Like creative label design for The Mobberley Brewhouse. Fonts are so important in branding – and the brief from the client was for strong colours. So we put our best faces forward and went for it. The four here are the latest in an ever-increasing range of critically acclaimed beers from this small but perfectly formed independent Cheshire brewery… We say small, but watch this space for news of their exciting expansion plans. Getting creative means loosening up after the strict constraints of some of our other food labelling clients. Mobberley likes us best when we throw out the rule book and play with the can designs, colours and especially the fonts. Mixing typefaces, upper and lower cases, bouncing letters off the baseline – nothing is off the menu as long as it has standout. The competition on the shelf today is dizzying. With more and more products shouting “Look at me”. Which is why we went for a clean, uncluttered look, with solid colour blocks and a single beer name to draw the eye. Those clever people at The Mobberley Brewhouse love getting in on the act too. Anyone can have a good idea, and we’re not precious when the client comes up with one. We’re lucky to have creative talent on the client side – and all the beer names here come from them. It’s then over to us to crank up the type machine and get jiggy with the label design. Brand design is always challenging and at IWP we love a challenge. But being allowed a free hand with the creative (plus getting to sample the product on occasion) makes for a happy client/agency relationship – with excellent sell-through to prove the point. And no, the phone didn’t go dead. Instead we rolled up our sleeves, stocked up on Lavazza and set to work. Many (many) hours – and several billion clicks of the mouse later, we had a rather attractive perfect bound 140 page brochure the client was delighted about. “This has really raised our game” said Centric Director, Phil Sloan. “IWP made the whole project straightforward – I was able to leave it to them and get on with my work”. 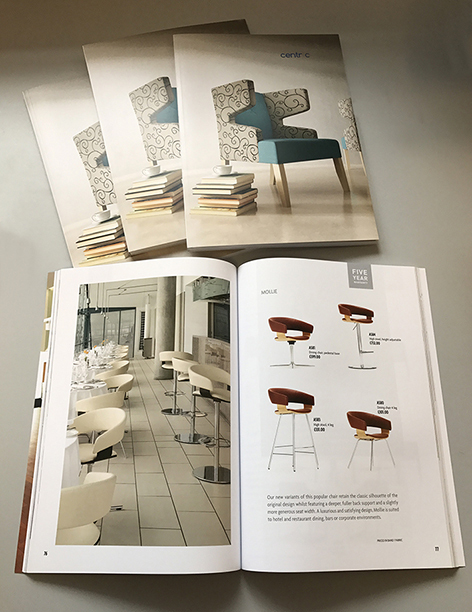 We pride ourselves on attention to detail – and with every item having price, dimension and colour information, balancing important detail and especially user convenience was the order of the day (and yes – a liberal helping of style). Have need of an attractively designed, carefully produced brochure of any size? Call IWP. We’ll get the coffee. Redesign the Hunters Gin label for the craft gin market, Hunters Cheshire Gin is a high quality, export strength London Dry Gin full of character – with it’s heart in Cheshire. Subtle citrus overtones with a spicy fruit edge using Cheshire apples from historic Norton Priory Garden’s orchard. A single batch distillation from a 300 year old recipe, including aromatic Balkan juniper berries and coriander, Iberian lemon & sweet orange peel, Florentine orris root, French angelica and Madagascan cinnamon bark. A unique and sublime fusion of quality botanicals and export strength alcohol. When IWP were asked to redesign the Hunters Gin label, we took a long hard look at the craft gin market and decided that there was a lot of power in keeping the Cheshire Gin story, the provenance of the Norton Priory Gardens’ apples marking a compelling point of difference. Extensive sampling was of course part of the process..
A very interesting new product designed for cyclists, with compelling sales points – the Racing Greens philosophy is simple. Formulated to give the body the tools it needs to thrive, thanks to the performance-enhancing properties of its carefully selected ingredients, the Racing Greens alkalising pH balancing drink delivers more oxygen to the cells, which increases energy, stamina and performance. Racing Greens also helps after exercising, thanks to its detoxifying properties, which make sure that lactic acid is flushed away, reducing recovery time. With a blend of over 48 natural ingredients , this is a powerful formula, packed with vital antioxidants, minerals and vitamins. 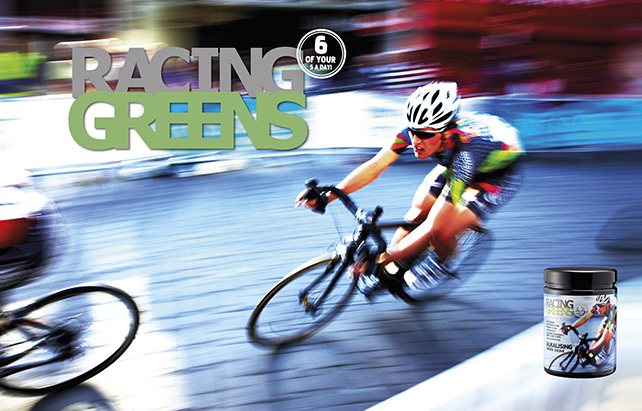 In fact, Racing Greens provides six servings of the five a day recommended by the World Health Organisation. IWP were asked to consider how best to support the launch of the brand – the sales are via a website so we developed new, more exciting packaging, completely upgraded the website and placed ads in the cycling press – add to this a full social media campaign, and sales took a healthy upturn – with immediate effect.